Tempa - Temporary Assistance Organizing & Coordinating for You! Owner and Energy behind Tempa, Temporary Assistance - for you! Rita's passion is helping people. Tempa was established in 2007 to assist others in a variety of ways. Tempa’s services strive to make life better and easier by accomplishing tasks in your personal and/or business life. 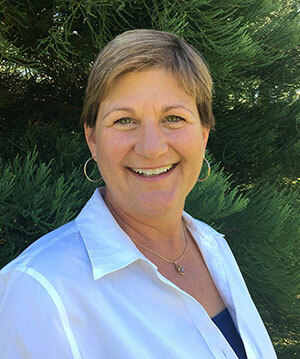 Rita has developed exceptional interpersonal and strong organizational skills through many prior career paths including manager and trainer in the food and beverage industry, banking, insurance, real estate, retail sales and many volunteer commitments. Rita's life-long desire to continue learning leads her to conferences held by: NAPO (National Association of Professional Organizers) and the Institute for Challenging Disorganization. Topics include ADD/ADHD, hoarding, chronic disorganization, time management, working through transitions, coaching, customer service and the latest organizational products. Rita teaches organizing classes at Umpqua Community College's Community Education. She is a presenter at the yearly Conference on Extraordinary Living. Rita is a member of the Sutherlin Chamber of Commerce, Fraternal Order of Eagles, BPO Elks, National Association of Professional Organizers, Altrusa International of Roseburg. She is certified in First Aid/CPR. She is LH Corporation Director, as well as the Secretary /Treasurer and Property Manager,and the coordinator of an Adopt-a-Highway project at Mildred Kanipe Park. She completed a Ford Institute Leadership program and continues to attend professional and other continuing educational conferences. She has been nominated for a Woman of the Year and an Inspirational Leader of the Year. Additionally, Rita is bonded, insured, professional and reliable. Need a speaker? Contact her for a presentation to your business, group or organization.